There are cows, dogs and mad drivers on the road. Cops hide behind trees, waiting for easy pickings. My betel chewing driver spits a jet of red betel juice out of the window and just manages to miss a woman motorcyclist wearing a bright green sari. Palmyra trees stand erect and still by the roadside. 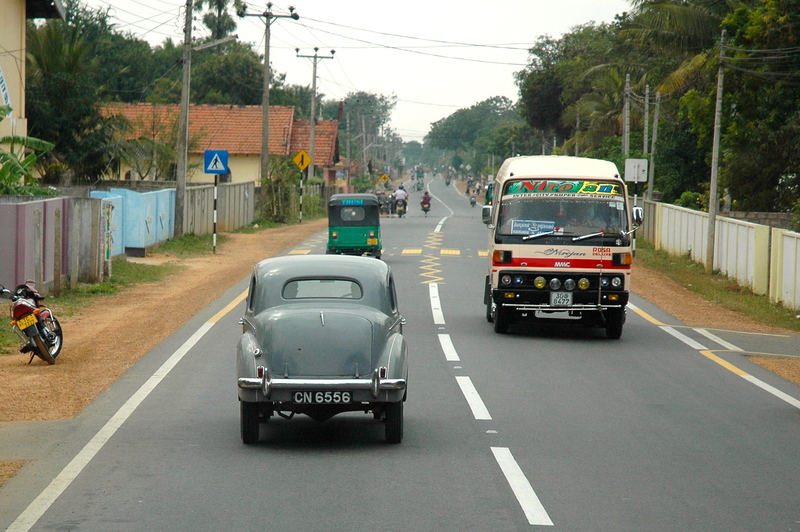 This is the A9 to Jaffna. At Omanthai checkpoint, at the entrance to Wanni, there is minimum fuss. No documents are checked and no inspections made for undesirable foreigners. I am finally on my way to the heartland of the Tigers. ‘Tank’ over here means a reservoir and Iranamadu is one of the giants, built in 400 AD. The country is dotted with them, built by ancient kings. 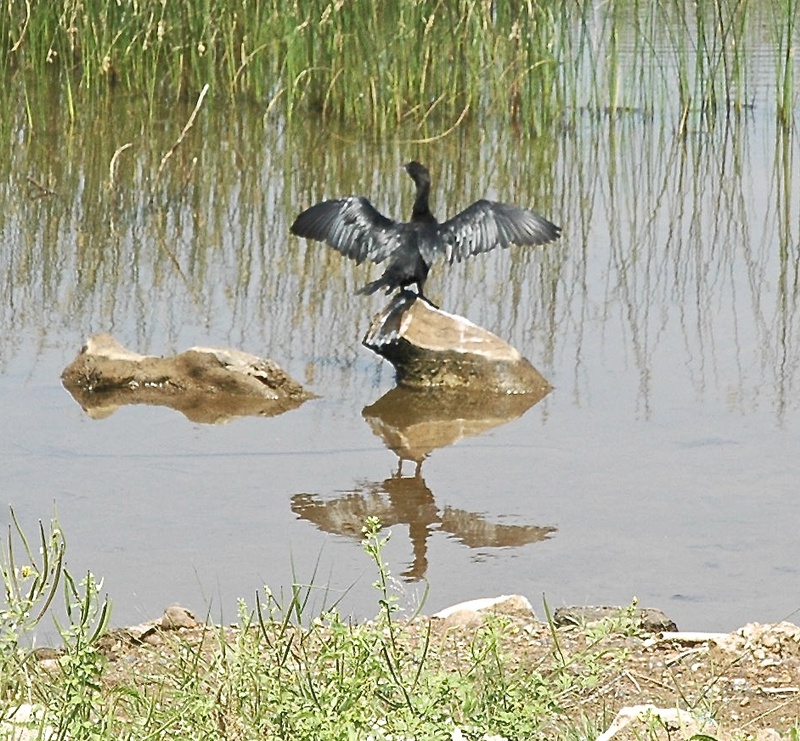 During the civil war, Tigers used to land sea-planes here. The narrow road off the A9 is lined with army camps. A soldier comes out of his corrugated iron barracks to take visitors on conducted tours. A Buddhist temple is sprouting near the canteen which is selling tea and snacks. 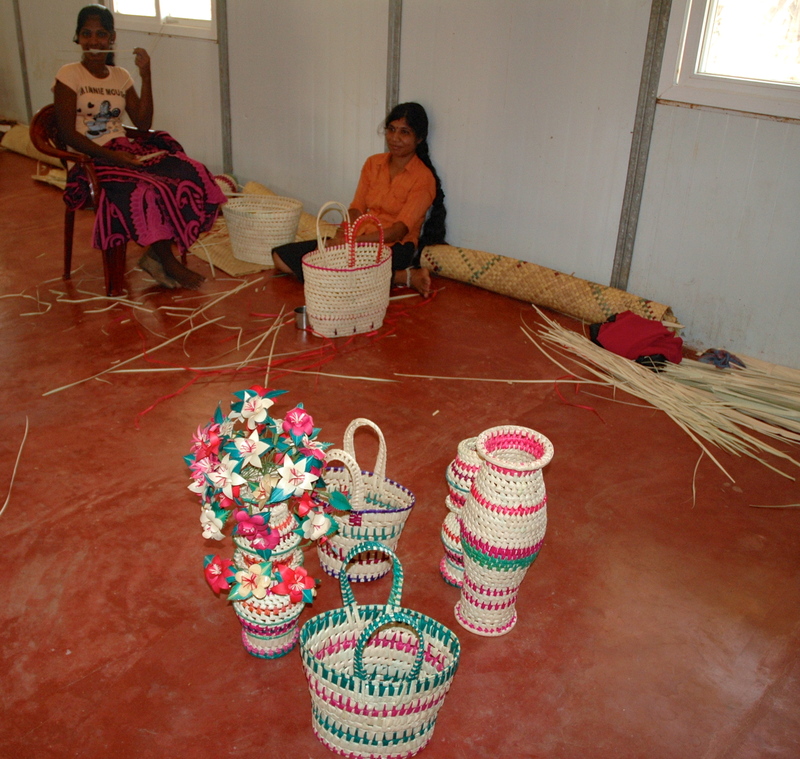 ‘Rehabilitated’ women Tigers from a ‘welfare village’ make handicrafts in a shed. They are camera shy and are reluctant to talk to visitors. “Did you carry a gun?” I asked one. She nodded and smiled. “Did you kill many?” I asked again. “It is best to forget the past” she said and walked away. 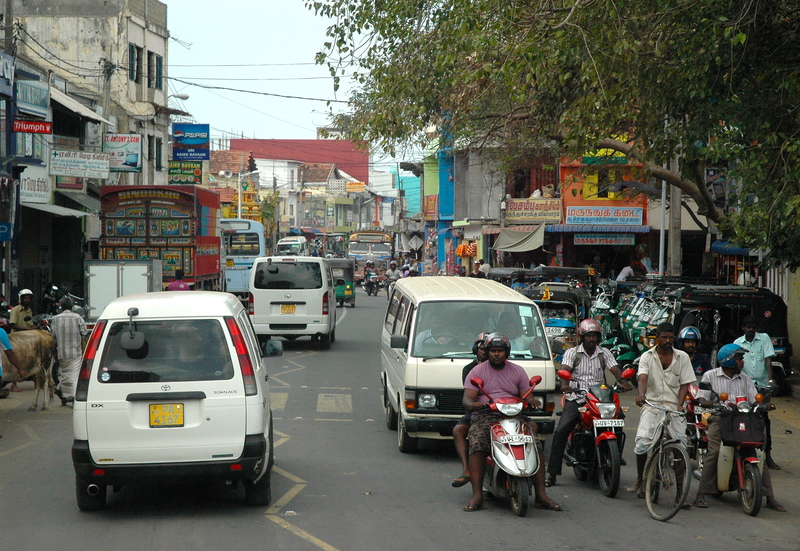 Then I drive in to bustling Kilinochchi – the de facto capital of Tamil Eelam. 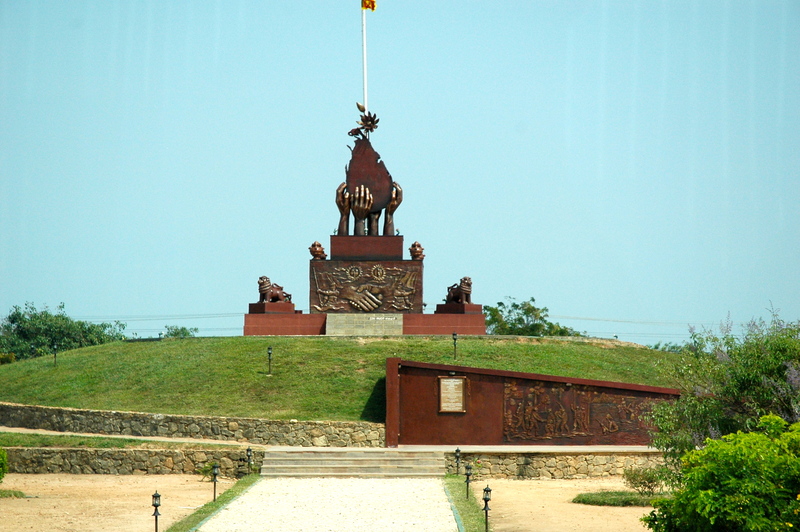 Victory memorial at entrance to Kilinochchi. 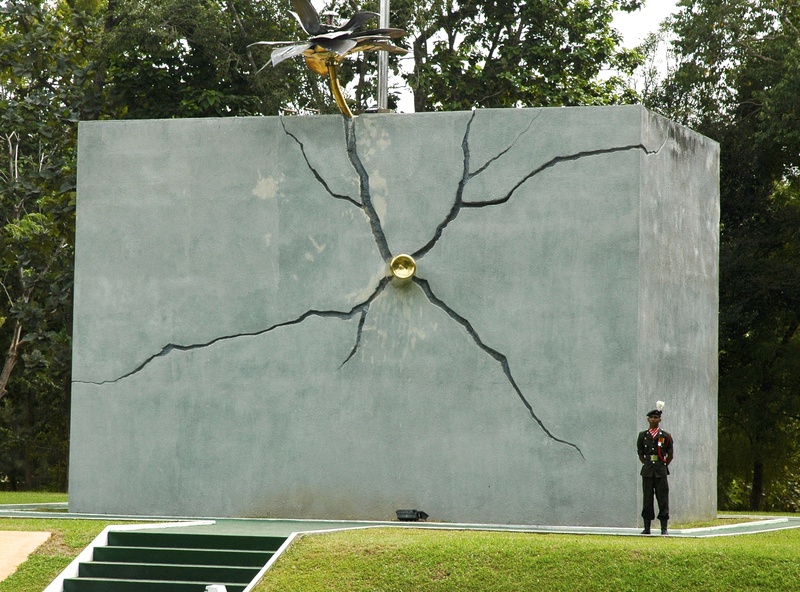 A block of concrete representing Tamil Tigers is cracked by a bullet from the Sinhalese forces. A flower of peace blossoms at the top. 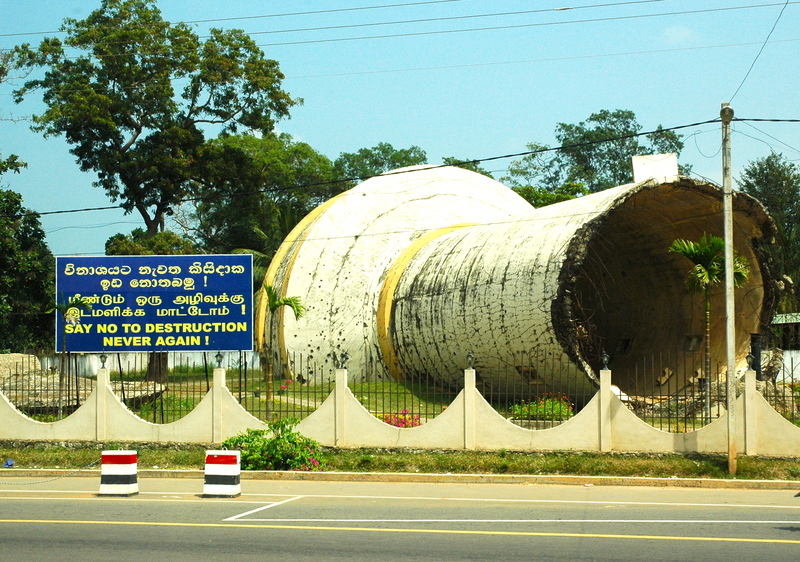 A giant water tank, blown up by withdrawing Tamil Tigers in December 2008. 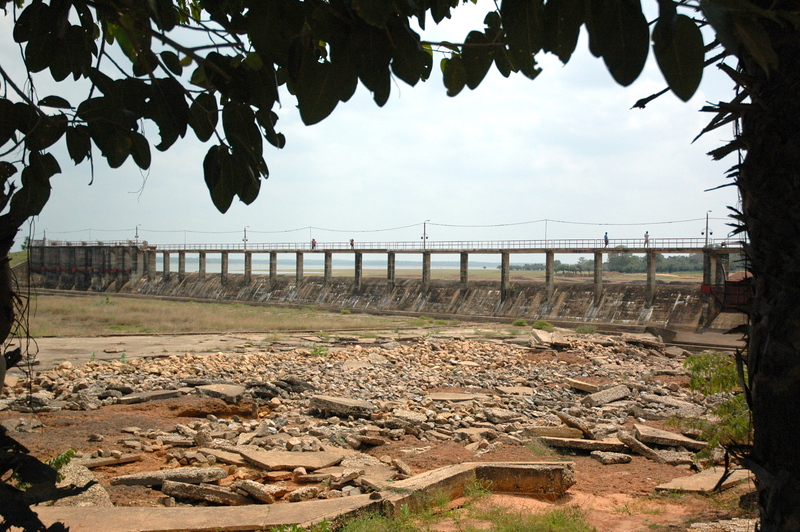 The tank supplied water to the whole of Kilinochchi area. Elephant Pass is a magical place. 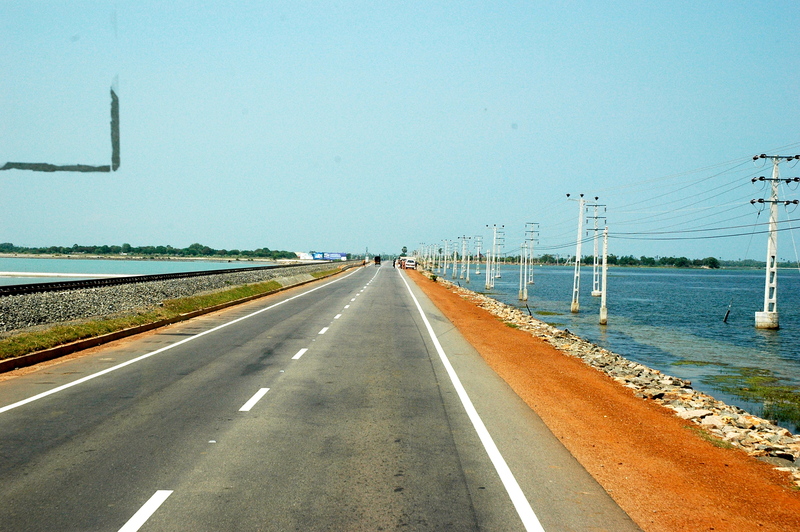 It is an isthmus connecting the Jaffna peninsula to the main body of Sri Lanka. It used to be the Island’s largest salt field. In 1760, the Portuguese built a fort to control access to the peninsula, rebuilt and garrisoned by the Dutch in 1776 and later taken over by the British. 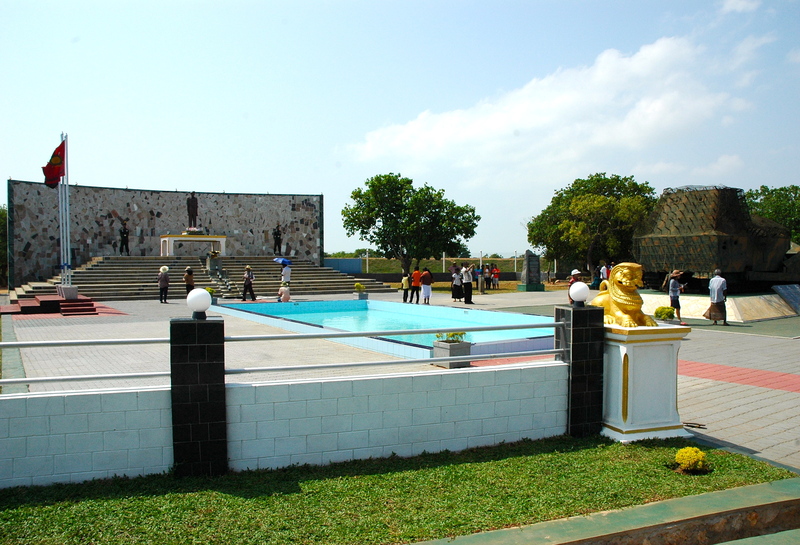 A modern military base was built there in 1952 by the Sri Lankan Army. It was the scene of major battles between Tamil Tigers and the Sri Lankan Army. Both ends of Elephant Pass have elaborate war memorials. Army run kiosks sell plastic orchids which the grateful Sinhalese place in front of the statues. The orchids are endlessly recycled. Fishing nets are stretched on both sides of the isthmus and the lagoon is thick with waders. 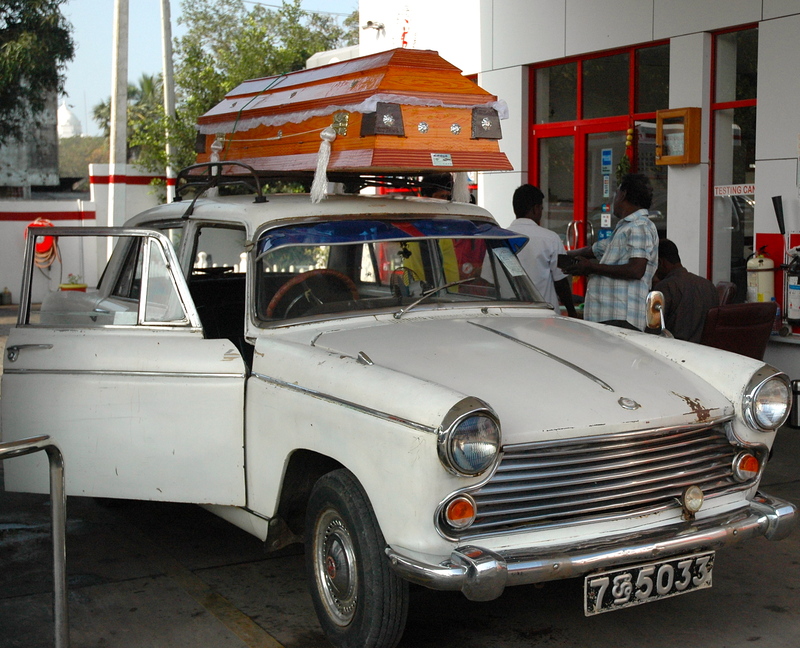 Jaffna is full of classic cars, with or without coffins. I reach Jaffna in time for lunch. 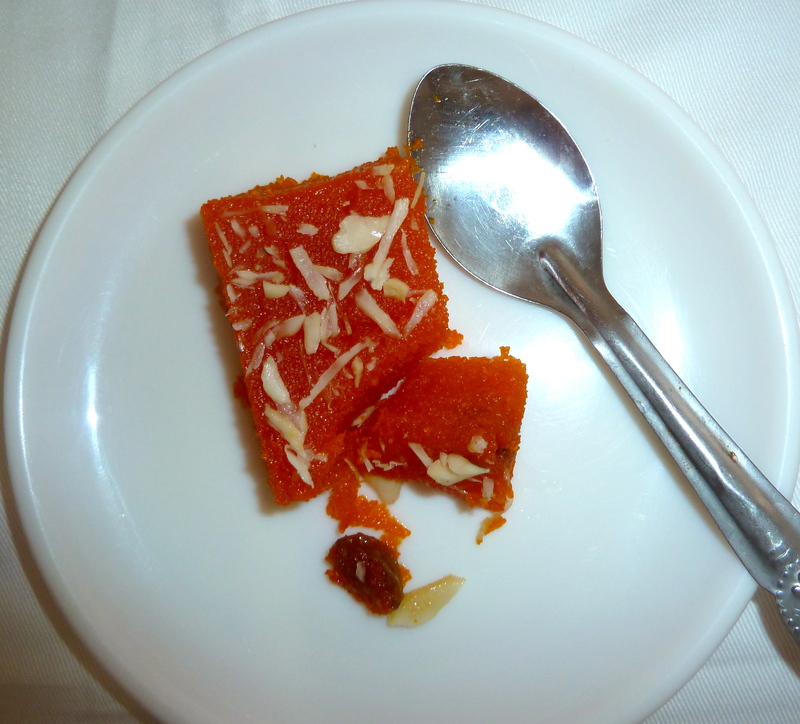 Pillayar Inn is basic but the Jaffna Tamil cuisine there is out of this world! 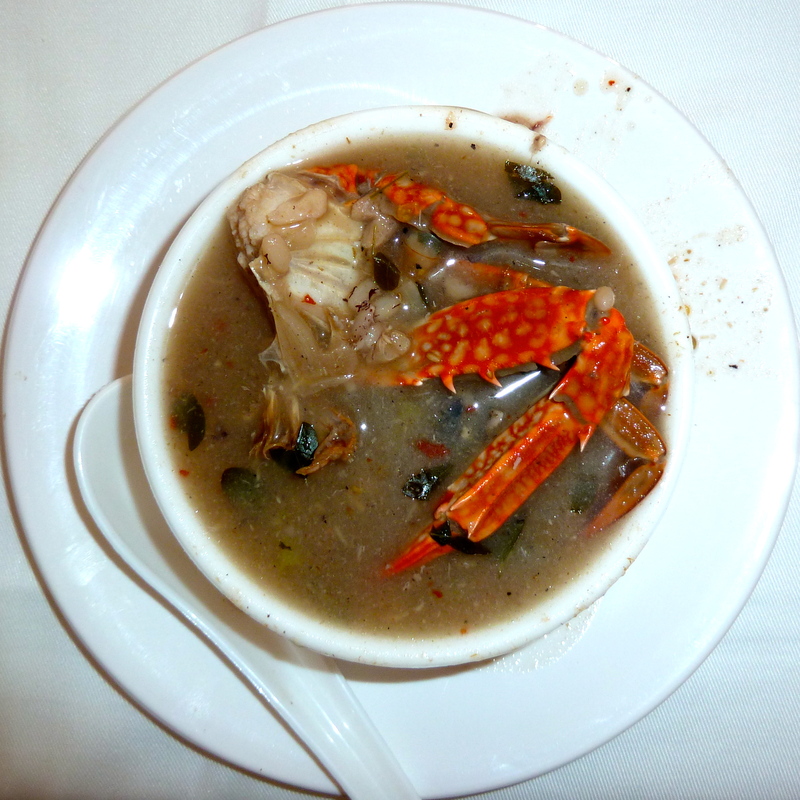 I start with a fantastic Kool, a Jaffna version of bouillabaisse with crab, prawns, cuttlefish and white fish flavoured with chilli and tamarind (see recipe below). 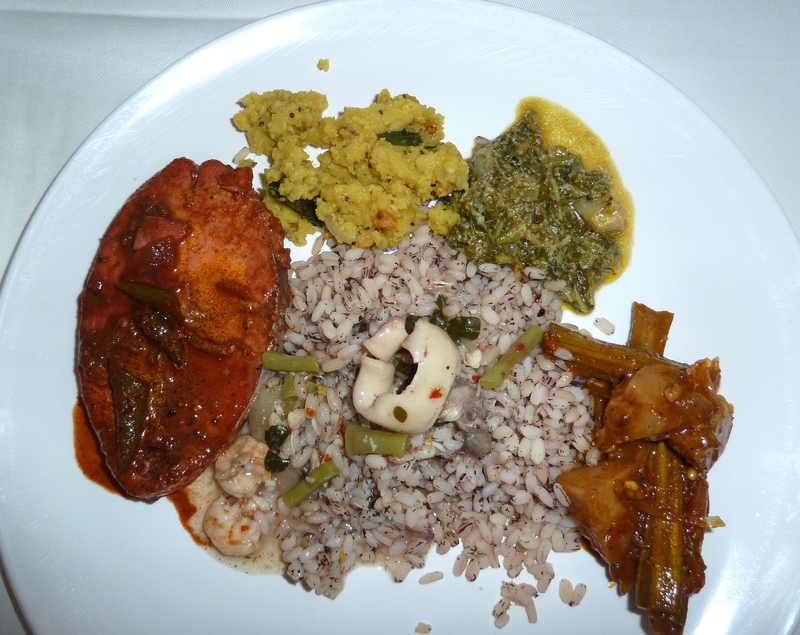 Jaffna Nadu rice and crab curry follow. It is one of the best meals in a long time. Looks like I am in for great time in Jaffna!